A supermarket controlled by a Mafia family is robbed, setting off a chain of events in which the Mafia's political links start to transpire. Montalbano finds himself having to conduct his investigation using even more unconventional methods and this time he does something he's never done before. 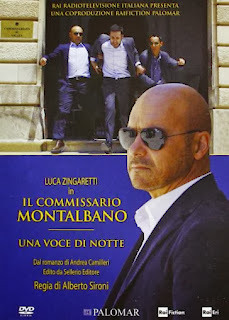 A Voice in the Night is based on Andrea Camilleri's eighteenth Montalbano novel, Una Voce di Notte, which has not yet been translated into English. Though published in Italy in 2012, I believe the story is set a few years earlier.